The world exists in a constant state of motion and change. To celebrate this, Boundless brings works from the Redland Art Gallery Collection together in a discussion and appreciation of migration. By drawing parallels between the movements of plants, animals and humans, Boundless will explore various histories, reasons for, and benefits of migration to humans and in nature. As a politically topical subject that is often surrounded by a discourse of negativity, this exhibition celebrates optimistic ideas surrounding diversity, cultural exchange, acceptance and generosity in a world which is in a constant state of change. Curated by Madeleine Keinonen. 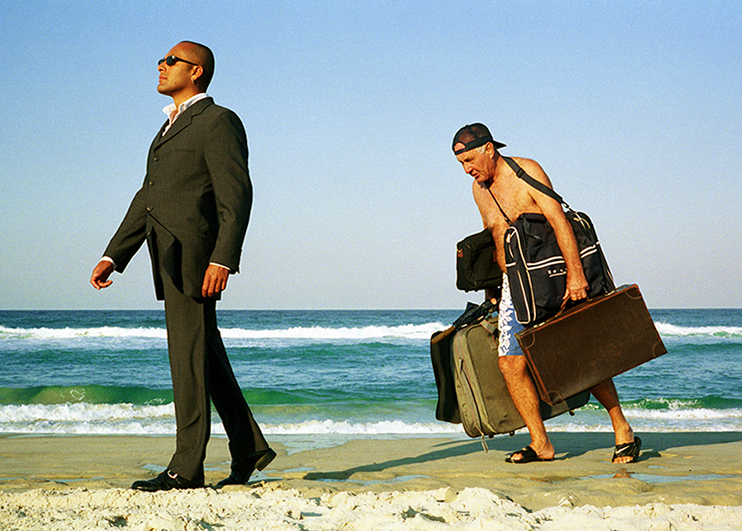 Image: Maurice Ortega, Billboard (Beach) 2000, Lambda print. Redland Art Gallery Collection. Donated by Maurice Ortega, 2014. Courtesy of the artist.